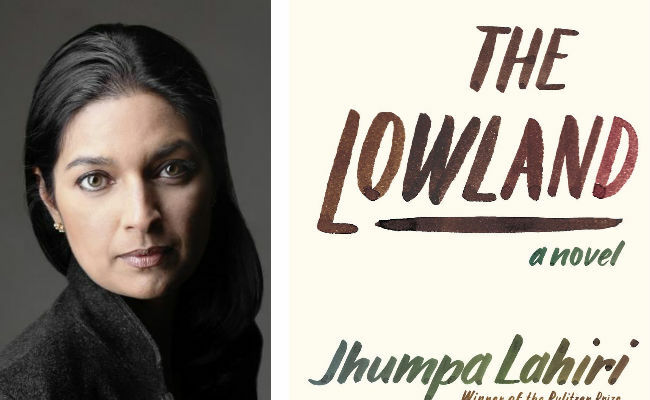 Critics are mixed on Lahiri's latest, The Lowland, a finalist for the Man Booker Prize and one of her most desolate tales about Indian-American immigration yet. This post is part of a weekly series in which Atlantic staffers offer their takes on the six novels shortlisted for the Man Booker Prize. You may have encountered a pair of brothers like the ones in Jhumpa Lahiri’s novel The Lowland, released last week—boys so close-knit they might be twins, or Irish twins. Smart and charming, they might look impossibly similar, or have names that seem designed to confuse you. They are different (at times, perhaps diametrically so), but always complementary. Above all, they are inseparable. Meet Subhash and Udayan. Like nearly all of Lahiri’s characters, they are Indian, not Irish—but born not much more than nine months apart. They grow up in the marshy outskirts of Calcutta, where their (figuratively) conjoined existences unfold in childhood bliss. One day they build a doorbell system from scratch, teach themselves Morse code, then spend afternoons beeping back and forth about sports, girls, and when dinner is going to be ready. Such happy coexistence—perfect symmetry, wordless harmony (though with a lot of noisy beeps)—is not the usual stuff of Lahiri’s fiction. Dip into her short stories, like those collected in 1999's Interpreter of Maladies and 2008's Unaccustomed Earth, or her other novel, 2003's The Namesake, and you’ll find one missed connection and thwarted relationship after another. Interpersonal fissures are repeatedly rendered against the backdrop of the greater existential fissure that defines Lahiri’s life and stories: the disconnect between immigrants and their new (supposed) homes. So it's not surprising that Subhash and Udayan’s oneness crumbles—first into two-ness, then into many unhappy pieces. Even as another prize nomination has come Lahiri’s way—she was just longlisted for the National Book Award—critics are feeling mixed, and her Man Booker odds are slipping. Her plot has been judged “operatic” and her narration “clinical,” and it's true enough that the novel’s setup turns on both dramatic flourishes and formulas. Subhash, the quiet, timid half of the pair, slips off to Rhode Island to burrow into environmental chemistry at a university not far from the beach. Udayan, the garrulous, daring half, sneaks into Calcutta’s thronging streets to join a violent communist movement—and before long, he is hunted down by the police, who execute him in front of the family home. The upheaval settles into a peculiar new family arrangement. Subhash marries Gauri, the pregnant bride Udayan has abruptly widowed. They go “home” to the sand dunes of New England, as if returning from an uncomplicated honeymoon. They set out to raise a child, Bela, together—a strange family in a strange land. If this were another author’s work, Subhash and Udayan’s coming-apart might be mended through Subhash and Gauri’s coming-together. If this were Lahiri’s earlier work, nothing would be seamlessly mended, yet nothing would be destroyed beyond recognition either. But in Lahiri’s new work the terrain is bleaker than ever before. Their hearts and lives shattered, her characters seek distance from one another with a ferocity that can look an awful lot like misanthropy. It was not until days after I finished The Lowland that I realized the strangeness of what I felt—what I think Lahiri wants readers to feel—about one character in particular, Gauri. My thoughts kept returning to her, not to the two brothers or her young daughter, who receive most of Lahiri’s characteristically evocative attention to detail and emotion. Gauri is a one-of-a-kind Lahiri character: She pushes away readers, as well as fellow characters, with unfamiliar fierceness. She repels, but not in the simultaneously compelling and nuanced way other figures in Lahiri’s work have. For Gauri, the arrival of motherhood and family life in America fuels cold-blooded go-it-alone-ness. She does not, cannot bond with Subhash or Bela, and it isn’t that she simply wishes parenthood were different; she wishes it away. Leaving her young daughter home alone, Gauri keeps slipping away in the afternoons—never long or far enough to get noticed—until one day she doesn’t come back. She escapes to California for good. Here is a woman whose cruelty is quietly domestic: She is a bad wife and a bad mother. It is Udayan, by contrast, who has all the makings of the perfect modern villain: the revolutionary who spins out of control, in thrall to ever more extremist ideology, ready to compromise intimates and kill innocents. But Lahiri seems to suggest that Gauri is, if anything, the more troubling menace. She may be a less explosive example of immigrant dislocation, but her rootless loneliness—more than Udayan’s radical zeal—is the scariest brand of extremism in this book. Of all Lahiri’s characters, Gauri is the best at getting away—actually escaping the kind of desolation that others merely endure. She doesn’t transition nostalgically between her various homes in Calcutta and Providence and San Francisco; she makes terrifyingly clean breaks. Gauri doesn’t assimilate (one day she tears up her saris, but that’s about it). She doesn’t gravitate to the Indian-American diaspora either, and she certainly never calls home to Calcutta. Her rugged individualism is so complete it’s chilling. Lahiri grants Gauri a fresh chapter of life in California, at first seemingly unencumbered by connections to her old life. But zoom out just a little, and it’s obvious that Gauri is the linchpin of every story that Lahiri tells in this novel. She is the last tie that binds together Subhash and his brother. She is the only link between Subhash and his not-quite-daughter. And she is the essential catalyst in the climactic story, the secret from the past that Lahiri reveals in her final pages. In the end, the novel’s web of relationships cannot be torn apart after all. But at its center is a woman who wills herself not to think about the effect she has on others, and who turns out to be more trapped than readers could have imagined. No wonder Lahiri has her audience on edge, and perhaps Man Booker judges too. The Lowland begins with a poignant scene of wordless connection: two brothers happily beeping back and forth, in perfect understanding. I finished this book with the echo of far more sinister beeps in my mind: the sound of someone signaling in distress, followed by the silence of someone who hears the code and can’t respond. Clare Sestanovich is a former story researcher for The Atlantic.